Chad and Anna are pictured with their three children, Sean, Ruby and David. Chad and Anna Clement are fast learners. 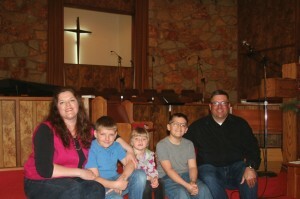 Just four years after moving to Oklahoma City with their three children, two Great Danes and a calling from God on their lives, they have established a growing ministry in many poverty areas of the city. The couple moved from Amarillo, Texas, where they worked in a children’s ministry and with youth, feeding some 2,300 children a day during the summer months. But about the same time Anna’s father, a Baptist pastor, died, Chad said he sensed God was calling him to preach. Chad grew up in Oklahoma City, and felt a draw back to his home, so the couple stepped out in faith and moved to the Sooner state thinking they would probably start a church in a storefront, using their own money. Through outreach events and activities held at various apartment complexes in Oklahoma City, Chad and Anna Clement have been reaching children and families who are underprivileged for more than four years. The Clements were pointed to a low-income apartment complex in Northwest Oklahoma City, which they had not considered working in, although they had experience ministering in poverty-stricken areas. They soon started baking cookies and taking them to neighbors. “I knocked on one lady’s door to invite her to church, and she told me she had been praying that someone would knock on her door,” recalled Chad. That experience opened both Chad’s and Anna’s eyes to the ministry they had been called to. And Truth Baptist Church was born. Inviting their neighbors to church was a stretch, because that “church” was the Clement’s apartment living room. They soon outgrew the living room and moved outside to the tennis courts, which proved adequate until it rained or was really cold. The apartment complex finally provided a community room which accommodated about 20 people. “We still had most of the activities involving the kids outside,” said Chad. The Clements, who met while working with inner city kids in Dallas, admitted that trying to grow a church in an apartment complex is challenging. “We had a sense of urgency in our hearts that the Gospel needed to be lifted up in this place,” said Anna. Chad said just the presence of a church in the complex caused people to act differently. Chad revealed that the biggest problem for church planters is getting over the hump of getting into a facility. 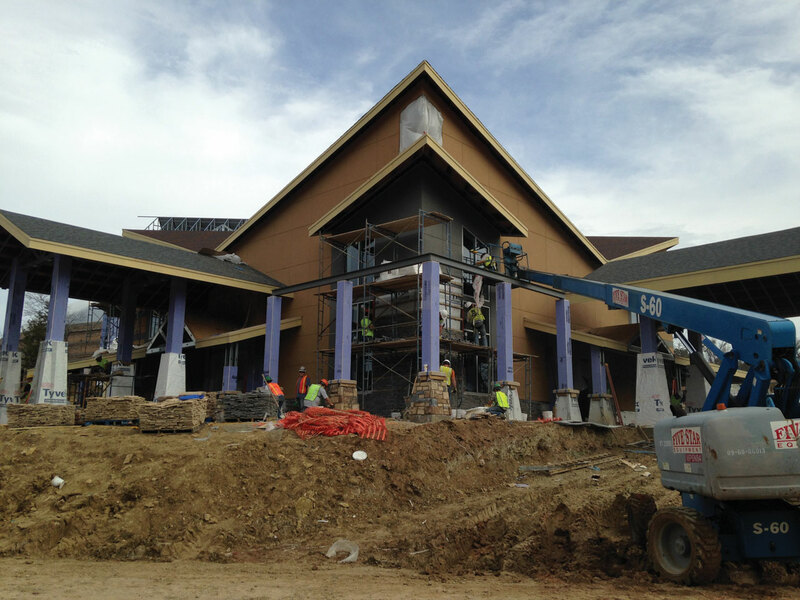 He said they were grateful for the willingness of the apartment complex to let them move in, but recently when new owners bought the complex, the Clements were told they were taking the complex in a new direction, and the church, which is now called Mission OKC to more accurately reflect its ministry, needed to move out. Mission OKC had its first service in the 400-seat Britton auditorium on the evening of March 15, and held a dedication service on Palm Sunday, March 29, which featured the Oklahoma City, Quail Springs adult choir and volunteers who have helped with the ministry the past four years. Britton members meet in the fellowship hall on Sunday evenings. 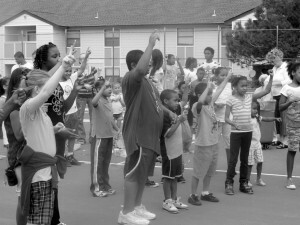 The church has also provided Mission OKC with office space and meeting rooms for children and youth. Over the past four years, the Clements have seen more than 200 decisions for Christ and fed thousands of lunches to kids in 13 apartment complexes in two areas of the city. They have a ministry on Northwest 10th St., and are looking for a building in that area to hold church services. Chad said their goal is to have Mission OKC North, South, East and West, plus downtown, each with a pastor who doesn’t have to raise his own salary, but who can focus on reaching people, raising funds and organizing to reach families. He said a typical offering at Mission OKC on Sunday evening is $25. “So we reach out to the community to let people know this is mission work. There is a lot of poverty in Oklahoma City, and to meet this need, there will have to be churches funded from the outside. Chad said this summer, Mission OKC will serve around 24,000 lunches to kids. 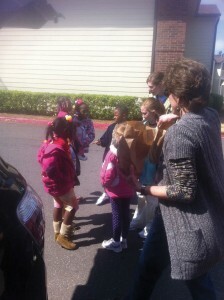 They have partnered with Feed the Children to provide free lunches for as many as 20 apartment complexes. Chad said he is praying God will make Mission OKC a great force to bring the Truth and Light of the Gospel to lost families living in poverty across the city. Chad noted churches in poverty areas are almost doomed to close their doors because of funding. For more information or to volunteer to help, call 405/694-8381 or email [email protected].